POP Carhire Mauritius is the leader in low cost car rental. We are local family business, and we aim to provide the best service at the cheapest price. POP car rental is a local company composed of a young team full of energy and enthusiasm. Our dedicated staff is ever ready to provide its services at any location in Mauritius at your convenience. Should you require any guidance for your trip, business or holiday one, just drop a mail or call POP! We will gladly assist you. You will experience exceptional customer service. POP Car Rental Mauritius is about building a relationship with our clients by offering competitive prices and valued service. We will passionately promote quality and service in order to provide the best customer satisfaction. Our team is always available to offer the best service before, during and after your rental. 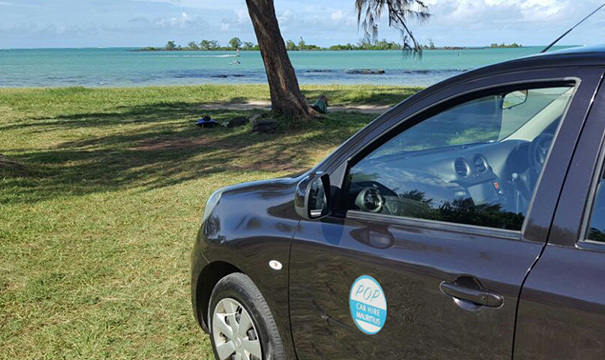 With POP Mauritius, you have 24hrs assistance during your rental with us. We consider being a values-driven rental company. By adhering to these core values at all times, POP employees strive every day to achieve our Vision to be a leader in the low cost vehicle rental industry in Mauritius. Looking for an information or a quotation regarding car rental in Mauritius, free quotation, car delivery or scooter information? Do not hesitated to contact us now !